In spite of significant improvements in the field of medicine, thousands of women die each year during child birth. In fact, the number of maternal deaths in the United States has increased from 7.2 deaths per 100,000 live births in 1987 to 17.8 deaths per 100,000 live births in 2011. This worsening trend has been a matter of great concern within the medical community. Healthcare professionals and scientists are looking for newer methods to lower the incidence pregnancy-related deaths, and three-dimensional (3D) medical printing and bioprinting are playing an important role. Understanding the anatomy and physiology of the placenta is challenging as the organ appears only after the woman is pregnant. Many obstetricians and gynecologists lack the expertise required to promptly anticipate, diagnose and treat placenta-related conditions such as preeclampsia, which is the leading cause of maternal death across the globe. Researchers at Sheikh Zayed Institute for Pediatric Surgical Innovation at Children’s National Health System and the Tissue Engineering & Biomaterials Laboratory, Fischell Department of Bioengineering at the University of Maryland have created a 3D printed placenta that replicates the complex cellular structures and extracellular matrices of the real human version. Scientists are using these 3D models to study special cells known as trophoblasts that bind to the uterine wall and promote the development of blood vessels required to nourish the fetus in the womb. Scientists predict that improper migration of the trophoblasts causes preeclampsia. For a study published in the April, 2016, edition of American Chemical Society's Biomaterials, Science and Engineering journal, researchers injected a peptide, known as the epidermal growth factor, into a 3D printed placenta and observed its impact on trophoblast migration. Unlike 2D models that only allowed scientists to observe the movement of the cells, the 3D models helped researches analyze how the cells moved, and how they came together to bind to the uterine wall. The epidermal growth factor did produce some encouraging results and is currently undergoing further testing. 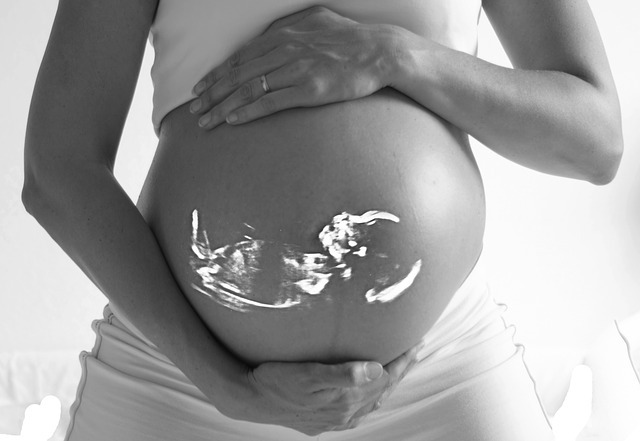 The use of 3D printing has not been limited to preeclampsia and maternal well-being. A team of surgeons at Colorado Fetal Care Center used 3D medical printing technology to create a specific model of the fetus based on the MRI scans of the mother's uterus. The model helped them understand the infant's myelomeningocele and treat it in utero. As per the National Institutes of Health, this intervention can significantly lower the need for cerebral shunts after birth. In another case, doctors at University of Michigan’s C.S. Mott Children's Hospital used 3D medical printing technology to help deliver a baby with a walnut-sized lump around the nose that would prevent it to breathe after birth. The surgeons created a 3D model of the fetus's head using dimensions from the MRI scans of the uterus. Analysis of this model helped the surgeons choose the right method for delivery. Further advances in 3D medical printing and bioprinting will help scientists and doctors develop innovative solutions to treat and prevent pregnancy-related complications. In the near future, this technology will become more accessible to everyone and will lead to lower maternal and fetal mortality rates.